Our family reads. A lot. Despite the fact two of our three children didn't like books as babies, all five of us enjoy reading now. I enjoy recommending books that impact our family through the monthly Nightstand posts and occasional reviews. I am accepting less and less books for review purposes these days because I find my blogging and reading time is extremely limited. I also utilize my library much more. A box of spring books from Tiger Tales recently arrived on our front steps. These books delight me, and I'm not even in the target audience of children under ten! Today I want to share with you three board books that our family especially enjoyed. 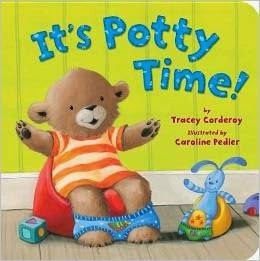 It's Potty Time, by Tracey Corderoy. Oh yes, this book is perfect timing. Little Sister will start training next week when I will have three days mostly at home. The illustrations invite the reader to be part of the Bear family while Mommy introduces Baby Bear to a potty seat and underwear. Baby bear learns about pee-pee and poop and even has an accident. I like how Baby Bear shows a toy bunny how to use the potty. It's an encouraging story that my we enjoy. 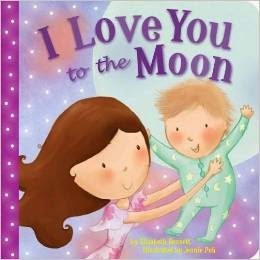 I Love You to the Moon, by Elizabeth Bennett. This is likely Brother (age 5) and Little Sister's (age 2) favorite book. The rhyming phrases (not sentences) throughout the book make it easy for the children to remember the text. "Sing and clap. Time for nap. I love you to the moon." The illustrations are sweet and cozy and help the child to understand the words and how they might apply to their own day around their home. And now our children love us "to the moon." Who can complain about that? 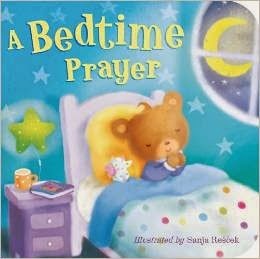 A Bedtime Prayer, Illustrated by Sanja Rescek. The rhyming prayers in this book remind us to give thanks to God for all things. It honors God as Creator (though it doesn't use the term). Each page spread has two stanzas (of four lines each). As we end another day. And go along our way. I think this sweet book would be a nice gift for a newborn or a first or second birthday. With the tender prayers and soft illustrations, this is my favorite title of these. Our children are 7, 5, and 2. The younger two children especially enjoyed these books, but even our independent reader enjoyed them. Thank you, Tiger Tales, for providing these books for our family's pleasure and review purposes. As always, all opinions are my own. Totally LOVE Tiger Tales Books!